Growing up playing videogames usually meant trading studying for recreational time. Many parents often thought of videogames as a vortex to distract kids from finding careers, often asking their children if gaming could pay the bills. Until recently, the only way to earn money from videogames was by making them. Now, a growing number of young adults have lucrative careers pressing buttons. Those fortunate and skilled enough to make money playing games have become part of the growing scene of professional gaming. Hebels describes Electronic Sports, or eSports, as “the term used for videogames being played in an entertainment setting where one would view them as normal sports such as football.” While eSports is steadily growing in the US, the concept isn’t foreign to many countries in Asia, where population density and technical appreciation of videogames provides the perfect breeding ground for both fans and players alike. Recreational viewership of competitive sports has always been a part of human culture and storytelling. From the simple sports played by our ancestors, to the gladiatorial battles waged on official tournament grounds, people love watching sports almost as much as playing them. Until now, most sports have taken place within a physical realm, usually requiring peak physical and mental conditioning. However, with the invention of virtual worlds and the Internet, sports have transcended into a digitized battle arena where anyone with a computer and Internet access can wage war. Traditional sports rely heavily on factors which vary greatly depending on the athlete, such as endurance and body type. While these traits are accepted and celebrated in traditional sports, in the realm of eSports, these elements are eliminated due to the nature of virtual games. While some may criticize the lack of physical training, professional gamers must exceed at a highly technical level. This results in high skill and teamwork being the spectacle, which can be seen and understood as many of the viewers play the same game. Players at the highest levels begin to understand the game as second nature, resulting in the concept of metagaming, or meta. Meta is used to describe a trickle-down of strategies, gameplay styles, and various other techniques developed during top tier play. The meta quickly changes as professional players always find new ways to outperform and push different strategies into new areas. While the meta is created and unfolds during professional tournament play, millions of viewers are watching, learning, and eventually copying the same tactics used by the pros. This results in an interesting combination of studying and spectatorship which takes place every time someone tunes into a pro live stream. The key differentiating factor between eSports and traditional sports is how fans and the community interact with the professional gaming scene. Because eSports exist online, many of the communities are found on websites such as reddit.com and various other online forums. Many of the professional players are longtime members of these online communities, meaning that interaction with average skilled players and fans occurs regularly. This results in almost total transparency between those who play for money, and those who play for fun. On reddit.com’s LoL community, many professional players comment on their experiences and openly answer questions in an ‘AMA’ or ‘Ask Me Anything.’ This level of professional and recreational user interaction doesn’t quite exist in many other sports, giving a sense of ‘reality’ entertainment for those who wish to tune in to the personal lives of professional players. When not playing at official tournaments, many pros are streaming their daily gameplay through websites such as twitch.tv and own3d.tv, creating a steady income through advertising, and giving viewers more to watch. With streaming becoming easier to manage and watch, there are always matches for people to tune into and take part in the community. The never ending spectatorship allows for huge userbase growth, which has dramatic effects on the eSports industry, and many of the games themselves. League of Legends is a free-to-play game, meaning that one only needs to create an account, and download the game to begin playing. By keeping the game free, Riot Games, the creators of League of Legends, has amassed huge amounts of viewers and sponsors. In 2011 Riot Games put forth $100,000 for the Season 1 Championship, which occurred over a three day period. During those three days, Riot Games drew a total of 1.69 million unique viewers. In 2012, Riot Games has increased the prize pool to $3 million, the largest prize in the history of eSports. With Riot Games pushing the envelope for eSports, multimedia organizations such as Major League Gaming (MLG), Intel Extreme Masters (IEM), and World Cyber Games (WCG) must also step up and provide a streamlined viewing experience. During MLG’s 2011 Pro Circuit, viewership surpassed cable networks such as MTV, FX, Comedy Central, and TBS. With over 15 million hours of video watched throughout the 2011 Pro Circuit Season, MLG is setting itself up to be a media powerhouse for professional videogaming. With eSports media steadily on the rise, the infrastructure to allow eSports as a career is slowly unfolding. While this is hugely important from a technical perspective, a cultural shift must also take place if professional gamers are to be seen as digital athletes. Similar to the media-heavy treatment of current sports, eSports will open new doors for multimedia companies to begin sponsoring and covering live events. With the journalistic landscape shifting, the eSports industry seems to be providing an exciting opportunity for those willing to make the jump. Students like Justin Hebels now have an opportunity to take part in the gaming community by providing discourse, a multimedia experience, and online interaction. Being able to create a website and effectively report on the quickly changing eSports scene may come to be known as eSports journalism, an exciting concept for the academics who can’t seem to stop watching videogames. While many gaming enthusiasts may never play as a career, those who do have created a whole new sector of entertainment. A new industry is steadily building itself as human culture becomes more acceptable of professional gaming. With huge international appeal and the largely competitive nature of eSports, people from across the globe have been given the opportunity to step into the same playing field and prove their worth. Kim, Ryan. “League Beginning for Video Gamers.” SFGate. San Francisco Chronicle, 11 June 2007. Web. 12 July 2012. <http://www.sfgate.com/business/article/League-beginning-for-video-gamers-2587547.php>. Scimeca, Dennis C. “The Challenge of Popularizing ESports.” The Escapist. EscapistMagazine.com, 1 May 2012. Web. 12 July 2012. <http://www.escapistmagazine.com/articles/view/columns/firstperson/9585-The-Challenge-of-Popularizing-eSports>. “Zekent’s Experiences.” /r/leagueoflegends. Reddit.com, 17 July 2012. Web. 17 July 2012. <http://www.reddit.com/r/leagueoflegends/comments/wo2l2/dear_pro_players_im_a_journalism_college_student/c5f5iyq>. Sanicky, Joseph. “Understanding The Metagame.” RTSGuru. Rtsguru.com, 17 May 2012. Web. 18 July 2012. <http://www.rtsguru.com/game/435/article/3022/Understanding-The-Metagame-What-Is-It-In-LoL-and-Beyond.html>. Reddit.com. “Gaming Subreddits.” Gaming Subreddits. Reddit.com, n.d. Web. 17 July 2012. <http://www.reddit.com/r/gaming/faq>. Dyrus. “Dyrus after IPL AMA.” /r/leagueoflegends. Reddit.com, 10 Apr. 2012. Web. 17 July 2012. <http://www.reddit.com/comments/s2a7y/dyrus_after_ipl_ama/?sort=top>. Funk, John. “League of Legends Championship Draws 1.69 Million Viewers.” The Escapist. Escapistmagazine.com, 23 June 2011. Web. 17 July 2012. <http://www.escapistmagazine.com/news/view/111254-League-of-Legends-Championship-Draws-1-69-Million-Viewers>. Funk, John. 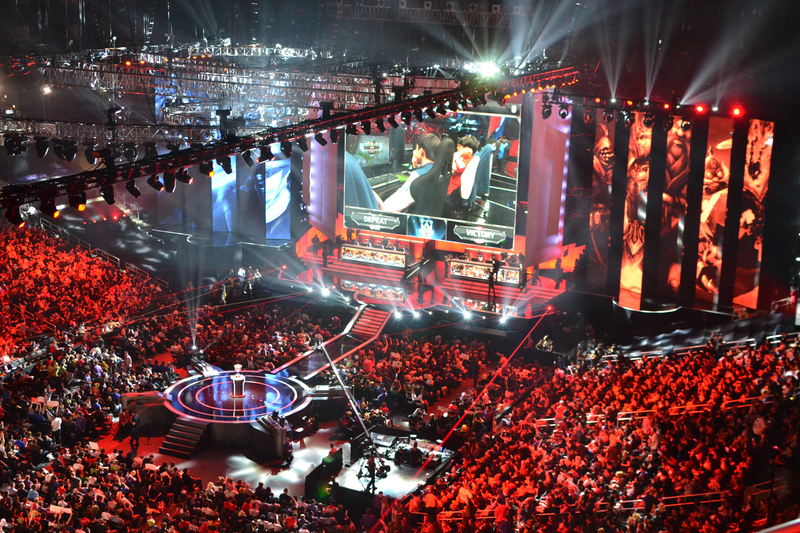 “$3 Million Up For Grabs In League of Legends Finals.” The Escapist. Escapistmagazine.com, 2 May 2012. Web. 17 July 2012. <http://www.escapistmagazine.com/news/view/117041-3-Million-Up-for-Grabs-In-League-of-Legends-Finals>. MLG, Lish. “MLG Delivers the Largest Season in ESports History.” Major League Gaming. Major League Gaming, 6 Dec. 2011. Web. 20 July 2012. <http://www.majorleaguegaming.com/news/mlg-delivers-the-largest-season-in-esports-history>. Inches beyond the gates of the University of Oregon campus, students mingle, enjoying a smoke break during their off time. The puffs of smoke create ripples through the sun’s rays on the warm June summer afternoon. The flicker of lighters occasionally crackles through the chatter of socializing students. The smoke, filled with chemicals such as nicotine and carbon monoxide, creates a pungent wall which surrounds the University of Oregon. The hazy borders of campus arose after the university adopted campuswide smoke-free policies on September 1st, 2012. Inside the brick gates of 13th and Kincaid, smokers are no longer welcome to light up or use any tobacco products on campus premises. With the emergence of new health studies done on the effects of tobacco over the past 50 years, public perception of tobacco has dramatically shifted. From it’s height as the sidekick of Marlboro men during the second half of the 20th century, smoking is now seen as more addictive than heroin. With an increase in public health concern, cigarette and tobacco use has steadily been on the decline since the 1990’s as people become more aware of the dangers of smoking. During this time, the United States has seen smoking banned from restaurant and business premises, as well as public parks. As research on second hand smoke becomes prevalent, organizations such as the Americans for Nonsmokers Rights are insisting various organizations nationwide adopt smoke-free initiatives as public health policy. A 2007 report by the Surgeon General indicates that over 250 cancer causing chemicals are found in secondhand smoke, as well as other toxic metals and gases. According to the United States Center for Disease Control (CDC), the chemical cotinine is created during the processing of nicotine during smoking and is used to measure the effects of secondhand smoke in non-smokers. From 1988-1991, 87.9% of nonsmokers had measurable levels of cotinine. During the years of 1999-2000, levels of measurable cotinine in nonsmokers had dropped to 52.5%, while in 2007-2008 it was found to be at 40.1%. The CDC cites the decrease in cotinine levels among nonsmokers is due to the growing number of laws that ban smoking in workplaces and public places. As of April, the Americans for Nonsmokers Rights (ANR) reported at least 1,159 university or college campuses have gone 100% smoke-free, of which 783 have gone 100% tobacco free as well. Some campuses allow the use of smokeless tobacco products such as chew or electronic cigarettes, however many universities are seeking to convince students to give up tobacco use altogether. Paula Staight, Director of Health Promotion at the University of Oregon’s Health Center, spends most of her time planning out the best route to a healthy campus. While Staight began working at the University of Oregon’s Health Center in 2001, it was in 2004 when her department first took steps to reduce tobacco use among students by pushing to prohibit the sale of tobacco products on campus. Since then, Staight has lead the way in introducing smoke free policies to the University of Oregon. “Now that the University of Oregon has gone [smoke-free], the UO is looked up to. People took notice when we announced that we were going smoke free.” says Staight. “We have agreed to be a mentor campus, so anybody that is interested in getting any help can contact me and I’ll give them whatever information I have.” she said. One of the central challenges of introducing smoke-free policies is not only the enforcement of those policies, but determining how enforcement is carried out to violators on campus. “This year is an educational year, so it’s just a reminder.” says Staight. “If I see someone, I’ll say ‘Hey, did you know this University is a smoke-free campus?’ and most people say they didn’t know, say sorry, and put their cigarette out.” she said. Kelly McIver, University of Oregon Police Department Communications Director and Public Information Officer, indicates that UOPD’s involvement is based “much more around compliance and awareness than enforcement. Our function is not to be the smoking police on campus.” McIver says it would be difficult for officers to hold violators accountable, as students would have to essentially be caught in the act. “It’s not the kind of thing that somebody could make a report of after the fact and then you could reliably go and cite someone,” he said. The University has taken extra steps to ensure that proper care is taken when dealing with smoke-free policy violators. Faculty and UOPD officers have been instructed to politely inquire as to whether smoke-free policy violators are aware of the ban, opting for raising awareness rather than incrimination. For Summers, a big part of moving the University of Oregon forward was communicating with the student body on when the policy changes would take effect. With some involvement from Nike Inc. and outside organizations, the campaign to announce campus going smoke-free came about during UO’s 2011 football season. On October 6th, 2011, approximately 4,000 green t-shirts emblazoned with “STFU Smoke & Tobacco Free University Fall 2012” were passed out to students at Autzen Stadium free of charge. While STFU stands for Smoke & Tobacco Free University, the internet derived acronym is more recognizable as a rude way of telling others to be quiet (Shut The F*ck Up). According to Summers, Nike hoped to create a powerful brand concept for colleges across the nation to utilize. Nike saw “a huge opportunity of more schools going smoke and tobacco free” Summers said, and decided to create a package of sorts. For smokers like Scott, abiding by smoke-free policies have become an acceptable nuisance. “Yeah, I think that it’s a legitimate concern if somebody doesn’t want to take in secondhand smoke. To me though, that doesn’t entail moralizing the issue where smokers have to defend themselves.” says Scott. With the borders of campus now housing smokers at every corner, the next step for Staight, Summers, and the UOPD is to work with city government and the local community. 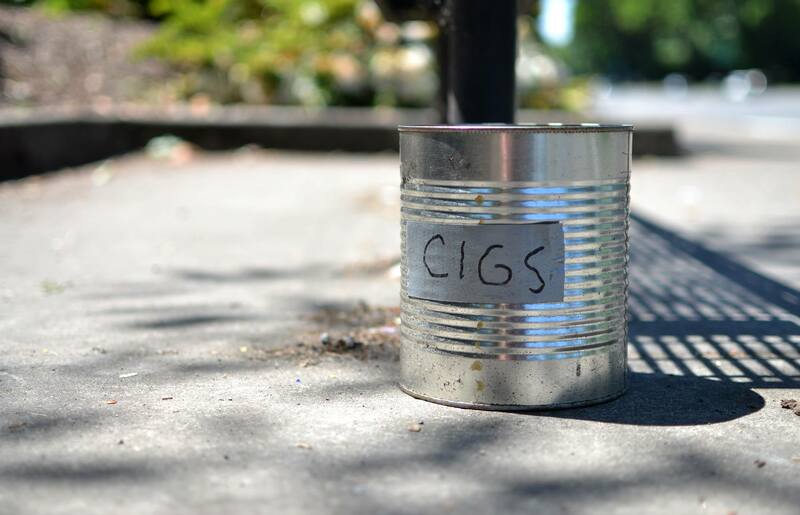 With businesses like Caspian’s and Starbucks prohibiting smoking within 25 ft of their entrances, students may see smokers pushed even further away from campus. While ASUO is currently voting to reinstate smoking stations on the edges of campus, only time will show the University of Oregon’s success, and how they can share that success with the growing number of campuses transitioning to smoke-free environments. B, Kellie. “Oregon Commentator » Blog Archive » STFU: Really?” Oregon Commentator. Oregon Commentator, 17th Oct. 2011. Web. 11 June 2013. <http://oregoncommentator.com/2011/10/17/stfu-really/>. “Chemicals in Tobacco Smoke.” Centers for Disease Control and Prevention. Centers for Disease Control and Prevention, 21 Mar. 2011. Web. 11 June 2013. <http://www.cdc.gov/tobacco/data_statistics/sgr/2010/consumer_booklet/chemicals_smoke/>. “The Health Consequences of Involuntary Exposure to Tobacco Smoke: A Report of the Surgeon General, U.S. Department of Health and Human Services.” Surgeon General. N.p., n.d. Web. 11 June 2013. <http://www.surgeongeneral.gov/library/reports/secondhandsmoke/factsheet9.html>. Polis, Carey. “Starbucks Bans Smoking Within 25 Feet Of Stores.” The Huffington Post. TheHuffingtonPost.com, 31 May 2013. Web. 11 June 2013. <http://www.huffingtonpost.com/2013/05/31/starbucks-bans-smoking-june-1_n_3365544.html>. “Secondhand Smoke (SHS) Facts.” Centers for Disease Control and Prevention. Centers for Disease Control and Prevention, 10 June 2013. Web. 11 June 2013. <http://www.cdc.gov/tobacco/data_statistics/fact_sheets/secondhand_smoke/general_facts/index.htm>. “State Smoke-Free Laws for Worksites, Restaurants, and Bars — United States, 2000–2010.” Centers for Disease Control and Prevention. Centers for Disease Control and Prevention, 22 Apr. 2011. Web. 12 June 2013. <http://www.cdc.gov/mmwr/preview/mmwrhtml/mm6015a2.htm>. “Tobacco.” Tobacco. University of Oregon, n.d. Web. 11 June 2013. <http://healthyoregon.uoregon.edu/Tobacco.aspx?q=TobaccoFree>. “Tobacco-Free Colleges and Universities in the United States.” No-Smoke.org. American’s For Nonsmokers Rights, 5th Apr. 2013. Web. 11 June 2013. <http://www.no-smoke.org/pdf/smokefreecollegesuniversities.pdf>. “Trends in Current Cigarette Smoking Among High School Students and Adults, United States, 1965–2011.” Centers for Disease Control and Prevention. Centers for Disease Control and Prevention, 07 Dec. 2012. Web. 11 June 2013. <http://www.cdc.gov/tobacco/data_statistics/tables/trends/cig_smoking/index.htm>.